Call us at 620-225-3411 today. Grove Chiropractic and Sports Injury Clinic is the place to be when looking for chiropractors in Dodge City, KS. Our familiar and cozy environment provides the ideal backdrop to continued wellness and health. We focus, through chiropractic care, is on pain and illness prevention, unlike conventional medicine which focuses on a cure. We are glad to serve our Dodge City patients as well as patients in the surrounding areas in KS. Our chiropractor, Dr. Jesse Grove, is a well-trained and certified professional. He ran track as a sprinter and played Division I football while studying for Bachelors of Science degrees in both Health and Wellness, and Anatomy. He is a recipient of a Doctorate of Chiropractic from Parker University, Dallas, TX. Certified to perform the Graston technique, he is also a certified Sports Medicine Physician and a Certified Medical Examiner. Dr. Grove believes all areas of a patient’s life can be filled with health and wellness. Treating the “whole person” requires a thorough examination of the roots causes of illness, pain, or discomfort that arise due to spinal column imbalances. Grove Chiropractic caters to the community’s general chiropractic needs. Our clinic thoroughly examines the cause of injury and any relevant past injury records for wholesome treatment. We offer complete care for sports injuries and auto accident injuries. CDL drivers seeking to obtain medical cards will find Dr. Grove’s Medical Examiner certification of use. The Gonstead technique is utilized by our chiropractor for the treatment and prevention of spinal problems. 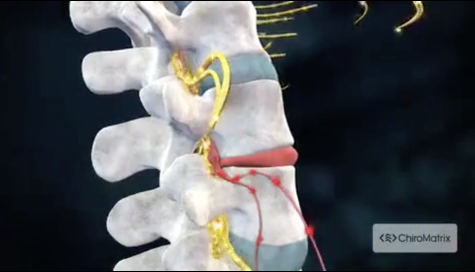 This technique is proactive, offering specific and effective treatment for conditions affecting the spine. The methods and tools at our disposal are used differently for different people, due to the unique nature of injuries. Our team will get you leading a healthy, active life with personalized care. Call Our Chiropractor in Dodge City Today! Are you tired of looking for chiropractors in Dodge City, KS? Did you know your health and wellness goals could be achieved through chiropractic care? Grove Chiropractic and Sports Injury clinic is your ideal clinic. With chiropractic services becoming increasingly popular, you might need to schedule an appointment with us today. We are conveniently based at 2300 N. 14th Ave. Suite 200, Dodge City, KS 67801, or you may call us at 620-225-3411. Dr. Grove is here to help with all of your healthcare needs.